The first is called Collagen: Myths and Misconceptions, The Secret to Beautiful Skin, Strong Bones and More by Marita Schauch, BSc, ND. Dr. Schauch explains that neither creams or procedures do anything to help your body generate both health-improving and beauty-supporting collagen. 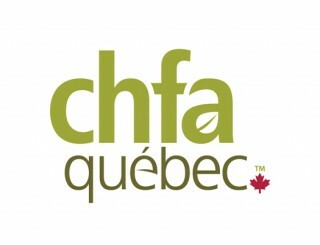 This year marks an important milestone for CHFA East. The show will be held in the South Building of the MTCC and will feature approximately 800 exhibits – the largest show to date for the CHFA. Be sure to visit the new Marketplace on the registration level where some of the show sponsors will welcome you with a delicious taster or small gift. Then make your way to the exhibit level where you can explore the expanded New Product Showcase area before entering the expansive exhibit hall. And, to top it all off, there will be a living park set up right in the middle of the show where you can participate in fun activities or take a rest from all the walking and sampling. Be sure to check out details of this year’s event on Pages 17, 18 and 19 and check for further updates as we draw closer to show dates at chfa.ca. Labdoor, an independent analysis service for consumers, has ranked Carlson Vitamin D3 1,000 IU in soft gels and Super 2 Daily in soft gels as the number one highest quality rated supplement in the vitamin D and multivitamin categories respectively. Labdoor supplies product safety grading to help consumers research, find and buy the best supplements. Enzymedica has announced two new additions to its digestive formulas. Digest and Digest Basic will soon be available in Canada in combined enzyme-probiotic formulas. Digest Basic + PROBIOTICS and Digest + PROBIOTICS will be launching at CHFA East and shipping to retailers late September. 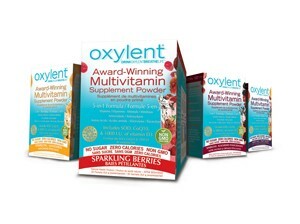 Vitalah is bringing Oxylent – now available in Canada due to popular demand – to CHFA East for the first time this year. According to Lisa Lent, CEO and founder of Vitalah, “Vitalah premiered its product line during CHFA West in April and we will be attending CHFA East for the first time this September in Toronto. I was delighted to see how buyers responded in Vancouver, and look forward to premiering it to CHFA East buyers as well.” Oxylent is available through Ecotrend. For more information, visit ecotrend.ca or call 800/665-7065. Eden Foods has introduced Eden Müesli, a whole grain cereal made from organic rolled oats, rye, and spelt wheat that can be enjoyed cold or hot. Three organic dried fruits provide sweet, tangy flavour. Roasted, lightly salted organic pumpkin seeds and raw sunflower seeds lend richness and crunch. Eden Cinnamon Müesli includes organic cinnamon for added flavour. 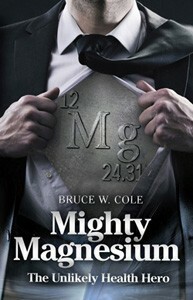 Low sodium, rich in magnesium. Provides lasting energy and complete protein. Joy of the Mountains, The Oregano Company, is pleased to announce a new VCaps Plus vegetarian liquid capsule containing five full drops of Wild Mediterranean Oil of Oregano. The ingredients are certified organic, soy-free, gluten-free, and non-GMO. Each amber glass jar contains 90 servings so the whole family is protected this cold and flu season. Joy of the Mountains is a B.C. family business that has specialized in premium quality oregano oil since 2001. In 2012, an independent UBC study showed that Joy of the Mountains was up to four times more effective than other brands against the H1N1 virus. Natural Factors has introduced a new line of supplements. 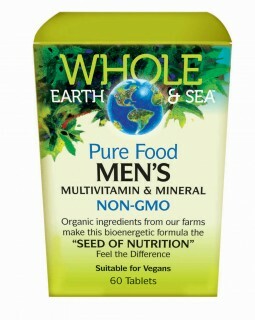 Whole Earth & Sea offers the benefit of a whole growing season in one tablet. All fresh, organic, non-GMO ingredients are grown and harvested at Factors Farms, then used in all of these new Whole Earth & Sea products. • Women’s and Women’s 50+ Multivitamin & Mineral and Men’s and Men’s 50+ Multivitamin & Mineral. These four formulas are specifically designed to meet the need of both young and mature men and women. • Bone Structure Multivitamin and Mineral. Strengthens bones with active vitamin and mineral complexes for maximum absorption. 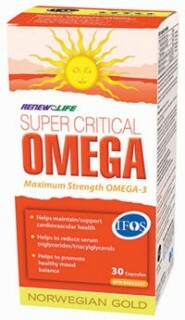 • Herring Gold 500mg and 1000 mg provides more omega-3 phospholipids than krill oil. It is rich in DHA and EPA, as well as choline and astaxanthin, and is sustainably sourced from the roe of Norwegian spring-spawning herring. Community Natural Foods had reason for a double celebration recently: the Calgary-based retailer became B Corps certified and also won an award as one of the 50 Best Managed Companies. B Corporations are a new kind of company which uses the power of business to help solve social and environmental problems. As a B Corp, Community Natural Foods is committed to adhering to and continuously creating new business operations that benefit people, the community, and the planet. The Canada’s Best Managed Companies designation symbolizes Canadian corporate success: companies focused on their core vision, creating stakeholder value and excelling in the global economy. 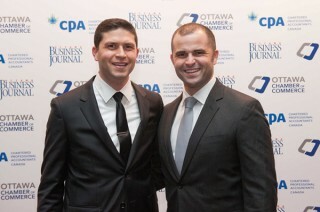 Community Natural Foods won the award for outstanding business performance and innovative management. 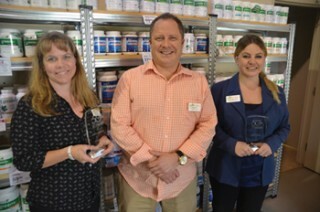 In addition to these two accomplishments, Community Naturals was also named winner of the Brock Elliott Memorial Award for Retailing Excellence by the CHFA at the recent CHFA West in Vancouver. Purity Life is celebrating its 30th anniversary with a very special table top show right in its Acton, ON warehouse on June 12, 2014 from 10AM to 4PM. With 40 vendors represented and with retailers coming from across Canada, it is expected to be a memorable event. There will be lectures, entertainment and great deals being offered from vendors for those retailers that participate in the show. "It's not very often you get a chance to stop and celebrate what has been achieved with the growth and development of Purity Life," said Matthew James, Purity Life president and CEO. "From the humble days of when Purity was founded by David and Elyse Chapman to the success Purity has today, it is truly impressive. Purity has never been more focused, effective and innovative in the last 30 years and this has been achieved by the great people that make up Purity Life as well as the business partners we work with, being both retailers, vendors and brokers. We are truly blessed to work in such a business and an industry that can impact people's lives in such a positive way. We expect to have a great event celebrating 30 years of business with the trade show on June 12 and we look forward to welcoming retailer partners to our facility." Janet Jacks, a well-known and successful retailer in southern Ontario, has written a book based on her life work and research. Discover the Power of Food: The 10 Week Plan to Transform Your Life consolidates Janet’s 40 years of food experience and research, dozens of years of success, and the latest nutritional information into one life-changing book complete with practical tips and tools and over 100 healthy recipes to help get you started. Nothing's easy and nothing's hard... you just gotta do It!" For an independent family business celebrating 20 years shared in good health, these iconic words – recollected by Nature's Emporium president Joe D'Addario at the company's 20th anniversary event in November – have become a warm touchstone to the roots of success. Harmony Whole Foods Market in Orangeville, ON celebrated its 35th year in business by throwing a week-long bash November 11-17 that included an organic chili cook-off, pancake breakfast, a traditional cake-cutting ceremony and live music. Long-time industry retailer and leader Stuart Hellis died Nov. 13 at age 70. Stuart, who co-owned and operated the Health 4U group of stores in Spruce Grove, Stony Plain and other Alberta centres for 19 years, passed away at the Stony Plain Hospital. Stuart was a very active participant in the natural health community. He served on the Canadian Health Food Association board of directors for nine years and was a founding board member of the Health First Network. Stuart and Grace – his wife of 48 years – operated the Health 4U stores together. Along with Grace, he is survived by his daughter Roanna, three grandchildren and one great-grandchild. Renew Life has announced its Ultimate Flora Ultra Potent has won a Gold Alive Award 2013 for best new supplement. Ultimate Flora Ultra Potent delivers 100 billion beneficial bacteria in each protected capsule. This specialized formulation is ideal for those on antibiotics or individuals requiring powerful immune or digestive support.